Ariane is available for speaking on Women, Gender and Leadership, Critical Thinking, Diversity and Inclusion, and Organizational Culture and Communication. Please email ADavid[at]ArianeDavid.com or call 818-704-6718. As a professional speaker for conferences, corporate events, internal training and workshops, Ariane will engage your audience and leave them with pragmatic recommendations. Ariane’s presentations are down to earth and practical: your audience will leave the event with clear, valuable knowledge, fresh insights and a new way of thinking. The below is sample of topics Ariane has done for webinars, keynote speeches, customer events, or internal training. PMI Orange County Chapter Conference Breakout Session SpeakerAs the Speaker Coordinator for the PMI Orange County Chapter, I had the pleasure of having Dr. Ariane David as a breakout session speaker for our 2012 Annual Project Management Conference. Dr. David’s knowledge and expertise in the area of Critical Thinking are unsurpassed in the industry. Ariane kept the audience riveted with the biology and physiology of Positional Thinking, as well as real-life examples of the wrong ways (and the right ways) of thinking, and the resultant outcomes of these ways of thinking. She also provided all of the attendees with take-aways on Critical Thinking that they could implement the very next day in both their work lives and personal lives. Dr. David is an engaging and humorous speaker. Our society of Operations Managers we’re delighted with her polished and expert presentation on “Speaking That Gets You What You Want”. We all gained new ideas we can apply at work, and beyond. With Dr. David’s presentation you not only learn from great content, but you also learn from the example of her own style. I highly recommend Dr. David to any group whose members have to make presentations as part of their work. 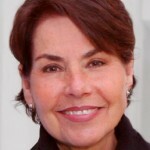 Ariane David is the founder of, and senior partner at The Veritas Group. Ariane’s work focuses on critical thinking and problem solving. She is a frequent keynote speaker and is currently writing a book on “Women, Gender and Leadership”. Clients, past and present, include Mercury Insurance, Fredericks of Hollywood, Amgen, Frito Lay, Geico and middle market companies across industries. Ariane holds a BS in Physics; MA in Organizational Development, and PhD in Human and Organizational Systems.